We’ve all take or abandoned a survey. Many surveys are unclear and poorly written, making it challenging to complete them because they’re so dull. Many dedicated customers open them in good faith because they’d like to provide insight about products or the website, but unfortunately, some companies only do surveys with the intent to attain positive reviews. There is an art to developing a survey that customers will not abandon. Crafting the ideal survey is vital to improving a business because receiving helpful feedback can assist a company in making a list of ways they can improve. Below are some ways to develop ideal customer satisfaction surveys and what companies should avoid doing. New companies are starting up every day, and competition is in abundance. One of the differentiating factors is what your consumers think about you. Big companies like Apple are thriving on taking their customer’s needs into consideration, and adding new and requested innovative features to their products. Customers share good experiences with an average of 9 people and poor experiences with about 16 (nearly two times more) people — so it’s imperative you figure out customer issues and try your best to solve them before they go viral on Yelp or social media. If someone told you your website or web presence was compromised in any way, wouldn’t your first order of business be to fix it? Unfortunately, what your site lacks may be invisible to you and your staff. Even if your site is fully functional, something may be keeping your visitors from navigating it with ease, which leads them to stumble confused through FAQs, or to abandon items in their cart. Were you able to find the support/information you needed easily? Were you able to locate products/services/information without assistance? Do you find that the X feature is easy to use? Survey Monkey knows best when it comes to creating the best surveys, which is why in particular, they recommend the below tips. Examples of what has worked are sometimes the most helpful, and HubSpot included a few. Here are two in particular, below. Uber has two customers — the drivers and the passengers — and it does a great job collecting opinions and reviews from both. The passengers give ratings after every ride, and the drivers rate the passengers as well. 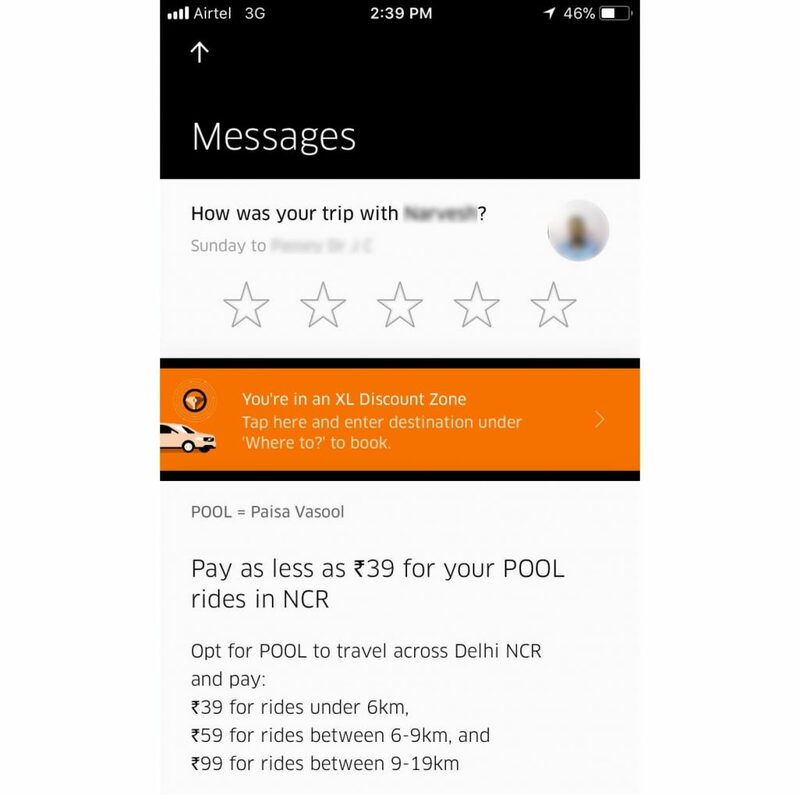 This makes it fair and transparent for both kinds of “customers,” and these ratings affect the drivers’ and passengers’ reputation as well. If a passenger has a lower rating, the driver has the authority to decline the booking. Amazon seems to be exceeding user expectations by collecting all kinds of information and making these easily accessible such that users can find the answers themselves in a knowledge base to provide customers with self-service support. This reduces the chances of incorrect purchases, which can make all the difference in a customer’s buying decisions. Don’t overwhelm customers by asking them too many questions. Otherwise, they may abandon the survey altogether. 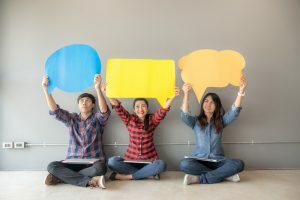 That’s why Neil Patel recommends combining several issues into one comprehensive question that encompasses what you’re trying to ask your audience without overcomplicating matters. How did you find our products? What results have you gotten by using our products? Which of our products do you find most beneficial and why? You feel like the desperate interrogator wouldn’t let you finish your sentence, right? That’s exactly how your respondents feel when you ask a chain of questions at once. In addition, multiple questions make it hard for respondents to give you precise answers, which will in turn make it difficult for you to interpret and evaluate those answers. In place of multiple questions, try combining all the questions to form one simple, yet all-inclusive question, without it losing its aim. Next, we will be looking at some specific questions that can get you helpful answers. 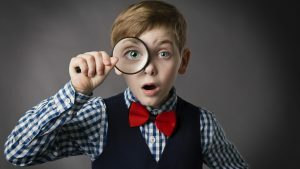 These questions are very investigative and will help you discover your audience’s biggest problems. They’ll also help you know what product to create and what to share with your customers in your newsletters, walk-through guides, blogs, etc. The truth is, as a business, your job is to solve problems and meet people’s needs, either by rendering a service, creating a product, or sharing helpful information and fresh content just as we do here at the Neil Patel blog. And, you really cannot solve any problem without getting to know it first; thus, the importance of asking these kinds of questions. Question #1: What’s your biggest challenge in___? Are there challenging situations that customers are facing right now in the area of your specialization? That’s what you need to find out, and your customers are the best people to tell you that. Question #2: What are your most burning questions about____? You’ve been doing all the interrogations so far. Now, it’s time for customers to take their turn. The cool thing here is, sometimes, the most useful information can come to you through customer questions. Question #3: What’s not out there? What product/service/tool/app would you like someone to create? If you want to use only your own head to come up with product ideas, you may end up creating the wrong product – a product that won’t sell a piece, won’t make you a dime, and won’t solve a single problem. That’s a bummer! If you think about it, timing is essential, especially when it comes to surveys. For example, if you prompt customers to take a survey right in the middle of the holiday season it’s likely it won’t happen. Figure out a time when you’ll be more likely to get results. Otherwise, Help Scout says your survey may just get ignored. Interestingly, the Survey Monkey study found the highest survey open and click-through rates occurred on Monday, Friday and Sunday respectively. There was no discernible difference between the response quality gathered on weekdays versus weekends, either, so your best bet is to seek out survey-takers first thing during a new week or to wait for the weekend. Perhaps Monday has such high response rates because nobody feels like working. With regard to sending frequency: Companies might conduct customer surveys once a year, or at most, once per quarter. And while that’s great, it’s not enough to keep a pulse on customer satisfaction — you don’t want to wait 90 days to find out your customer is disgruntled. Between surveys, you’ll want to keep a keen eye on your customer satisfaction ratings and other metrics. Reporting tools (such as Help Scout reports) can help you turn every conversation with a customer into a feedback session.